What Is a Transit in Astrology? The planets are the Wanderers, and they keep on moving. There's your birth chart, which is a fixed moment in time. And then there's the motion of the planets and how it affects your birth chart. 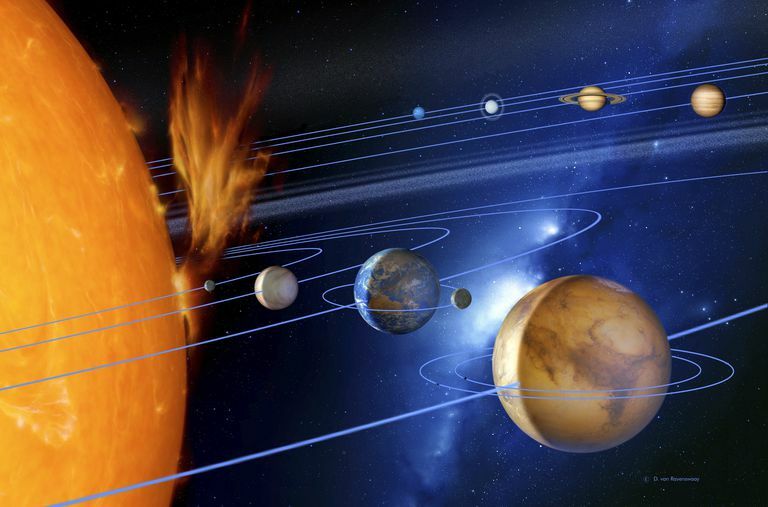 Planets on the move are called transiting planets. They make aspects to the "moment in time" planets of a chart for an event, entity or person (the birth chart). As the planets move, they also form angles to each other, and this is where forecasts are from. Astrologers look at the transits planets are making to someone's chart, or that are going to affect the astrological weather in general. All the planets transit around the ecliptic, which is the belt around the Earth. When astrologers refer to a transit, they're talking about a specific event, like a planet aligning with the natal chart. "In astrology, the term transits refers to the ongoing movement of the planets, in contrast to their positions at your birth or when some other notable event occurred. Because they are connected to current reality, transits reflect our collective reality, the world we're all living in together. Transits are like cards that the world deals us, and what we do with them—how we play the hand—is what changes us and determines the course of our destiny." In astrology, we talk of Saturn transiting my natal Mars, or it may be described as transiting Saturn making an angel to natal Mars. Every planet makes transits, so we refer to Venus transits, Neptune transits, Uranus transits, and so forth. Example: "Transiting Venus is moving through my 5th House (of love, romance, and friendship), and I'm ready to be swept off my feet!"